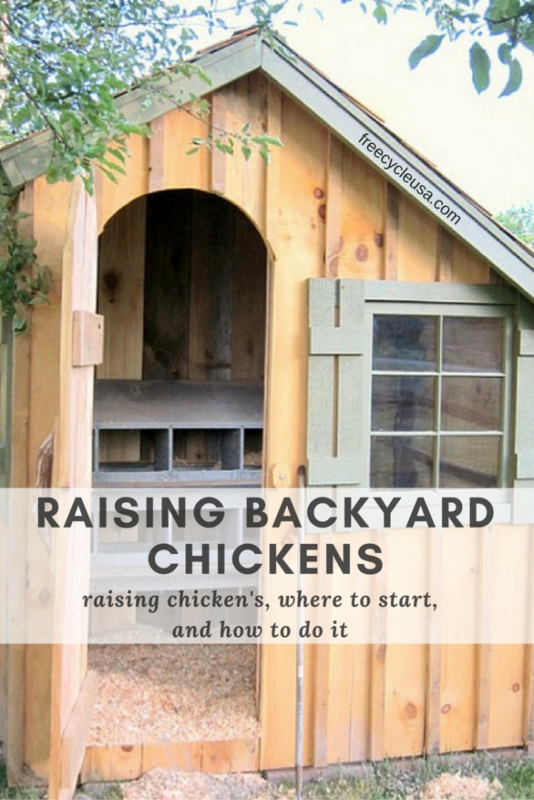 The sound of a rooster crowing at dawn; delicious, farm fresh eggs for breakfast; pest control; these are just a few of the benefits of raising backyard chickens. In a fairly small amount of space and with very few supplies, you can easily start a backyard flock of your own. Chickens are very easy to raise and care for. In fact, if you have the space and foliage for them to free range, they will provide a lot of benefits and be very inexpensive to maintain. Their needs are few. My start in chicken farming was sudden, and I had no time to prepare or purchase supplies. When the chickens were first delivered, I put them in a fenced dog pen. The only “shelter” was a large dog house. I set out a couple of bowls with water in them. The next morning when I went out with flashlight in hand to check on them, I didn't see a single chicken in the pen. I was horrified thinking that some predator had managed to come in during the night and wipe out the entire flock. That was lesson one in how easily chickens will adapt to their circumstances. All 25 of them had crowded into the dog house to keep warm during the night! I was lucky none had suffocated. So, here is my quick, short list of the “must haves” for your flock. Your chickens will need some sort of shelter. There are some pretty amazing chicken coop designs available in books and on the internet. This can be as simple or as extravagant as you want. You can purchase a ready made chicken coop, or make one yourself. Basically, the shelter needs to provide them with protection from the elements (rain, snow, sun, heat) and from predators. When I first got my chickens, I was fortunate enough to have a little structure at the edge of the woods on my property. I disassembled it, moved the lumber to the fenced in area, and rebuilt it. It's a simple, three sectioned, wooden shack with a metal roof. I installed some dowels for “roosts”. If you have a problem with predators in your area, you will need to make sure the coop is predator proof so that you can lock your chickens up safely at night. Raccoons are clever, and will scale a fence, or dig under it with no trouble. So, simply having them fenced in isn't good enough. I lost a few hens to raccoons until I managed to secure the coop properly. 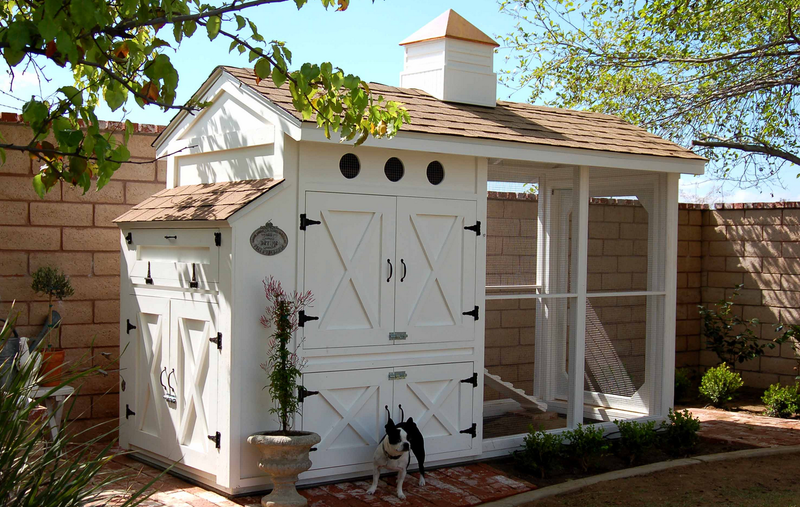 GET THE LARGEST ASSORTMENT OF CHICKEN COOP PLANS HERE! Your chickens need a constant supply of fresh water. There are several styles of waterers available commercially. In addition to a couple of galvanized poultry waterers, I also set out metal dog food pans with water in various locations. If you are going to use bowls, make sure you buy heavy duty ones with some weight to them, otherwise your chickens will step in the bowls and you'll be refilling them several times a day. Chickens will eat just about anything. If you have the space and the plant life, and don't mind having chickens roaming around your property, let them free range. It will cut down on how much you have to feed them, and I firmly believe they will be healthier by foraging for fresh food in your yard. My chickens eat grass, leaves (they especially like poke salad), berries, grass hoppers, crickets, worms, ticks – I've even seen them gobble up baby snakes and field mice. I supplement what they find on their own with kitchen scraps and a good laying feed. These are the absolute “must haves”. There are other supplies you may want. But, these basics should allow you to get your flock off to a good start.